Karnesh holds a diploma in Yoga & Naturopathy Sanskrit University (Balmiki Campus) and is a Registered Yoga Teacher (RYT) with Yoga Alliance. Since his teenage years, he has been interested in self-empowerment and spirituality, and has been a dedicated yoga practitioner since 2007. He has spent time in ashrams, and met with a number of gurus and sages, who initiated him into sacred disciplines such as Kriya Yoga and Kundalini Yoga. He has also studied Ashtanga Yoga in Mysore, India, with David Garrigues in Kovalam, India, and with Joan Hyman in Geneva, Switzerland. 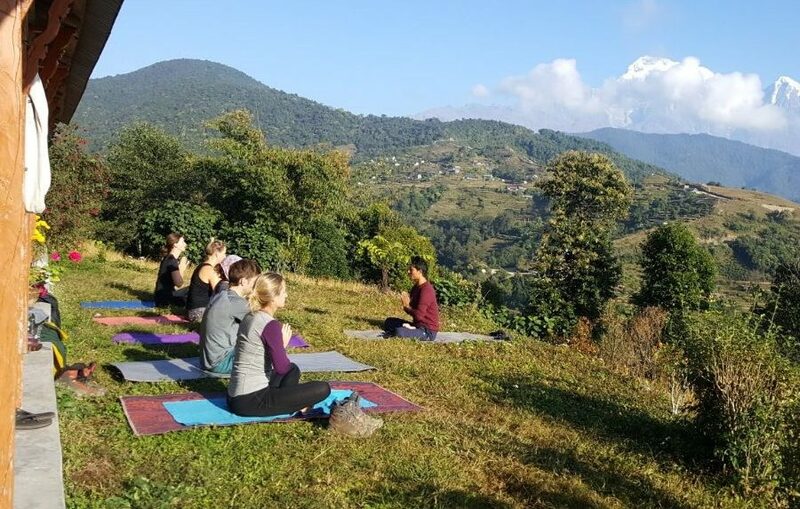 After having worked in the financial sector, and having initiated a self-empowerment institute for young people and students in Nepal, Karnesh started working as a yoga teacher and trekking guide in 2014. 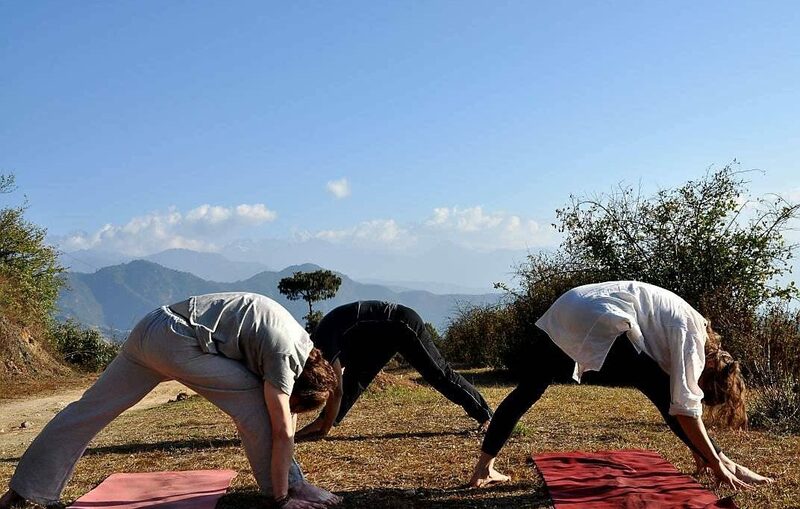 He has since led countless treks and taught yoga and meditation to many people from around the world. 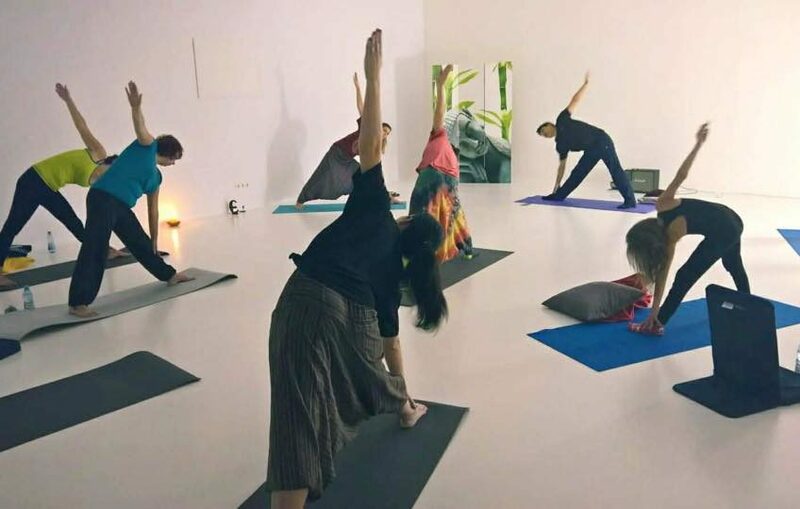 He founded Kamala Yoga Nepal in 2017. 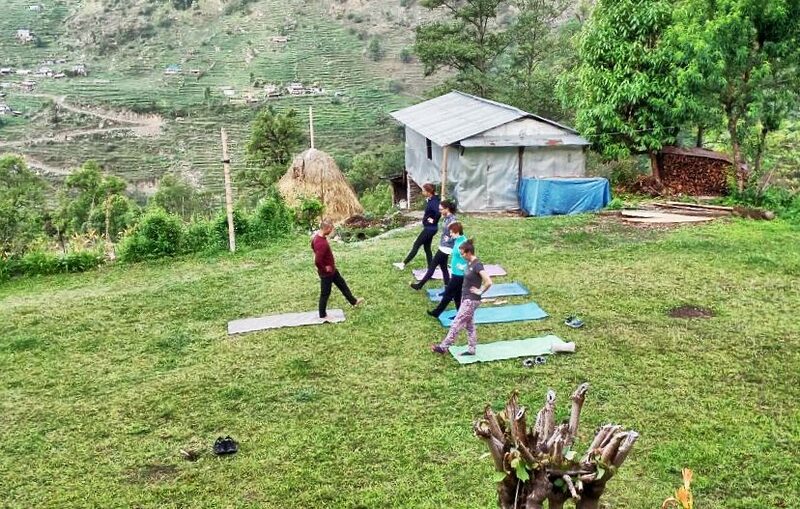 In addition to running the business, he continues to lead yoga treks. 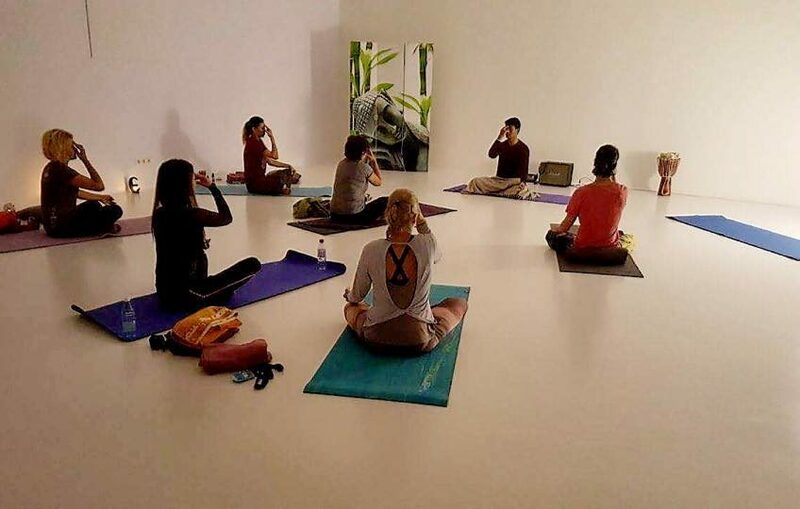 In October 2017 he was invited to Romania, where he taught a series of yoga and kirtan workshops and appeared on Romanian TV to introduce his approach to yoga. 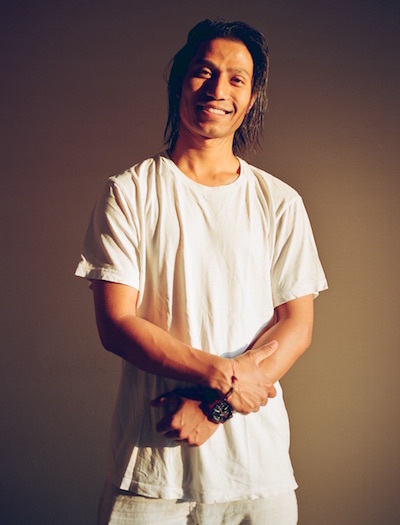 Karnesh’s interests include music, art, and social causes. 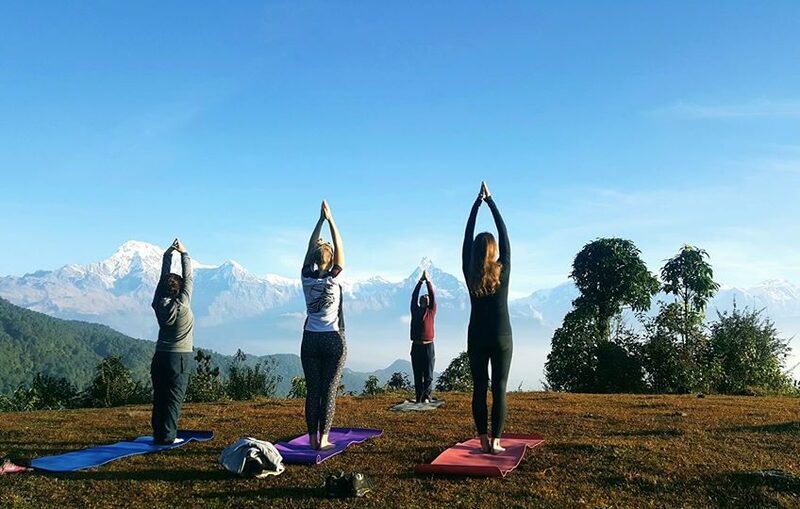 His recent collaborations include a project with photographer Kasia Zmokla showcasing yoga and the stunning Himalayan landscape. 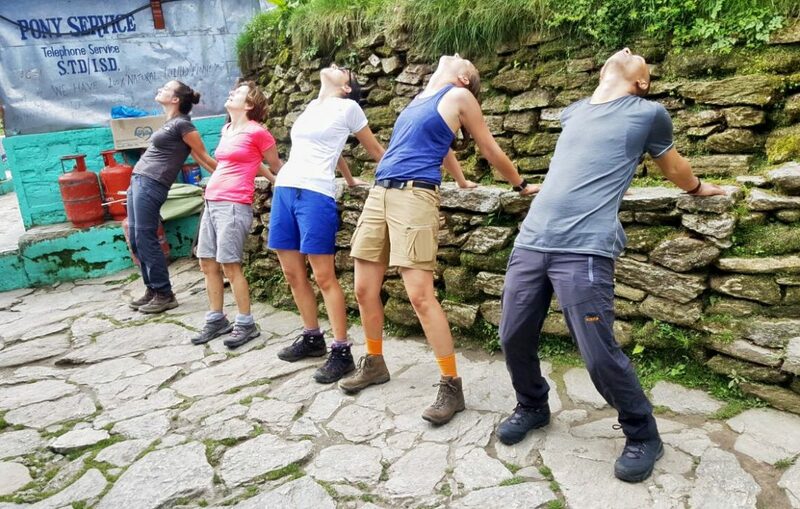 Lunchtime stretching on the trek!